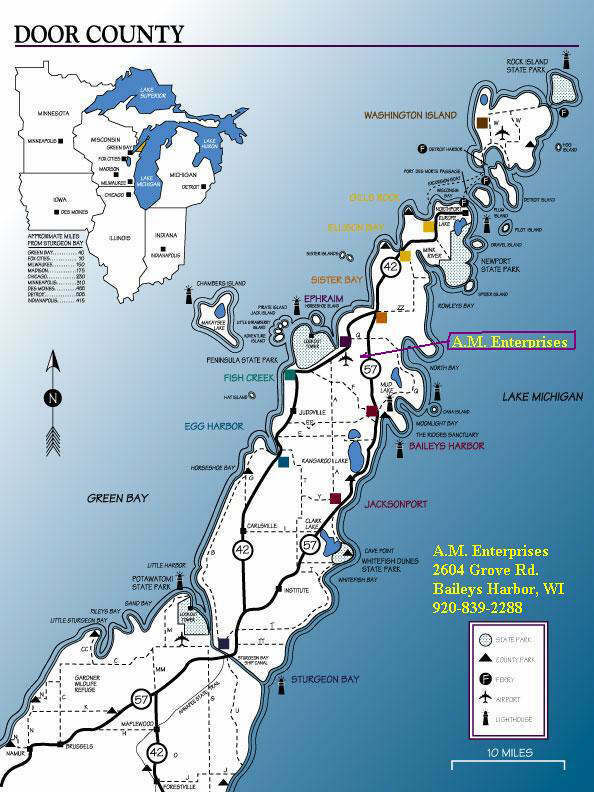 We are located in Northeastern Wisconsin along the Lake Michigan side of scenic Door County. When traveling on State Highway 57 between Baileys Harbor and Sister Bay, watch for the Blue and White AutoCare highway signs which direct you ½ mile down West Grove Road. A sign at the entrance to our drive is located along Grove Road. Grove Road is located South of County Highway Q which leads East out of the Ephraim area, and only a cross country jaunt from Fish Creek and Egg Harbor areas. If you are in need of directions, please call us at 920-839-2288.